Tiny (1.5" x 0.5") waterproof, dishwasher-safe name labels that stick just about anywhere. Handy for labeling lunchware, daycare gear, school supplies, water bottles, sippy cups, pool toys and anything that leaves the house! 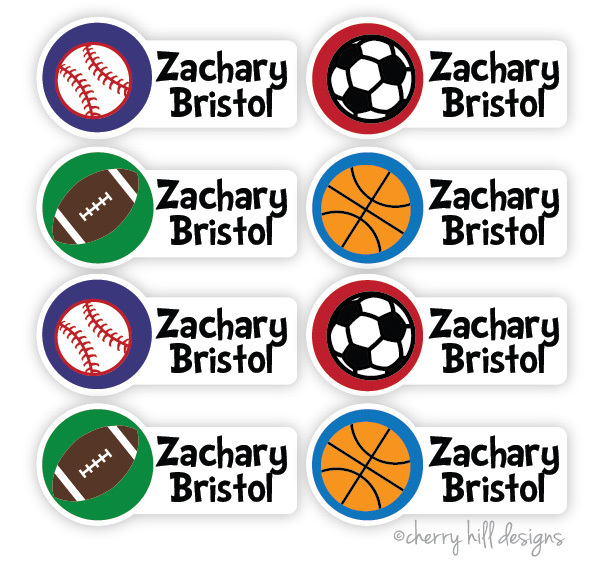 Four assorted designs in each adorable set of 64 labels. Stick these cute, mini die cut labels on all your washable gear and anything that leaves the house! Perfect for daycare, mother's day out, preschool, grade school, summer camp, baby showers and birthday gifts. Label with style! 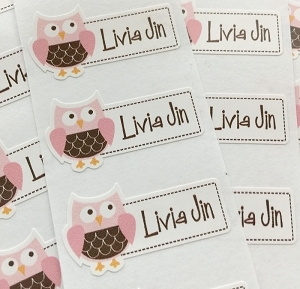 mini waterproof name labels sized approx: 1.5"x1"